I’m opening a new shop! 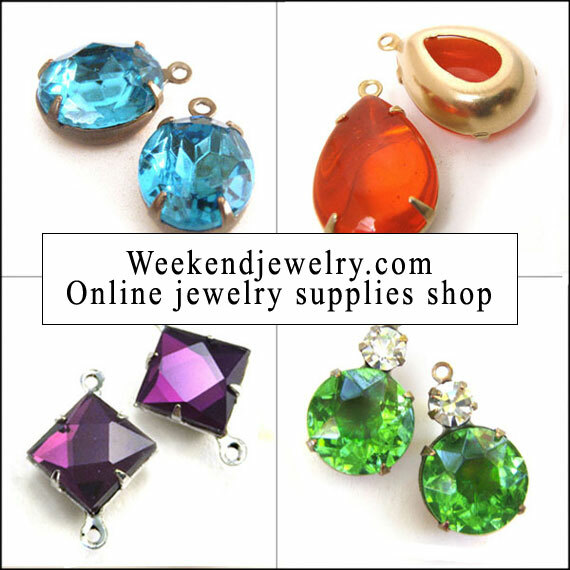 Weekendjewelry.com will showcase my glass beads and rhinestone jewels, vintage and new rhinestones, and other jewelry supplies I love to share. It’s a brand new shop and I’m still tweaking – but I’d be thrilled to have you visit, share your thoughts, and shop! So as a little “welcome aboard”, I’d like to invite you to use Coupon Code WELCOME when you visit my shop. It’s just good for an introductory period, so please visit – go shopping – and save 15% on your purchase! And hey, bookmark Weekend Jewelry – I’m going to have some wonderful sales coming up!